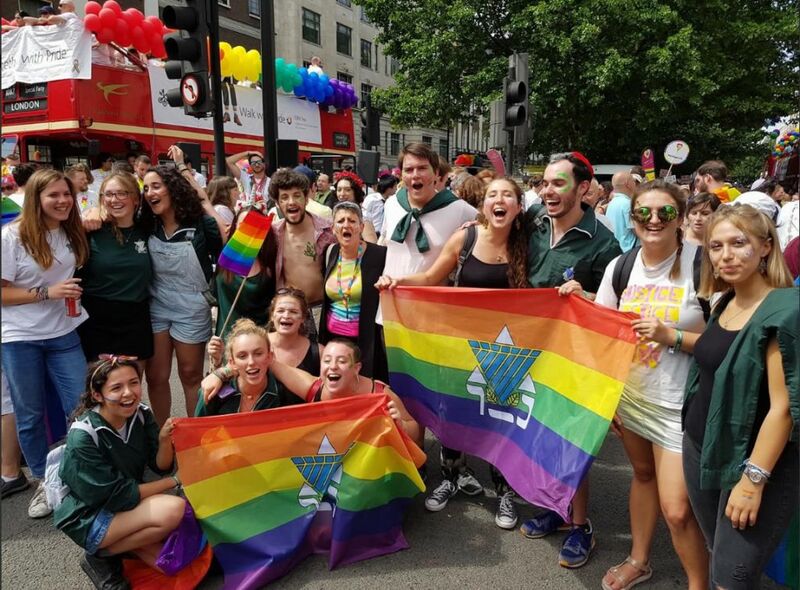 The biggest ever delegation of Jewish LGBTQ community members turned out for the London Pride parade at the weekend. Around 200 people from six different organisations marched alongside thousands of others through the capital on Saturday. 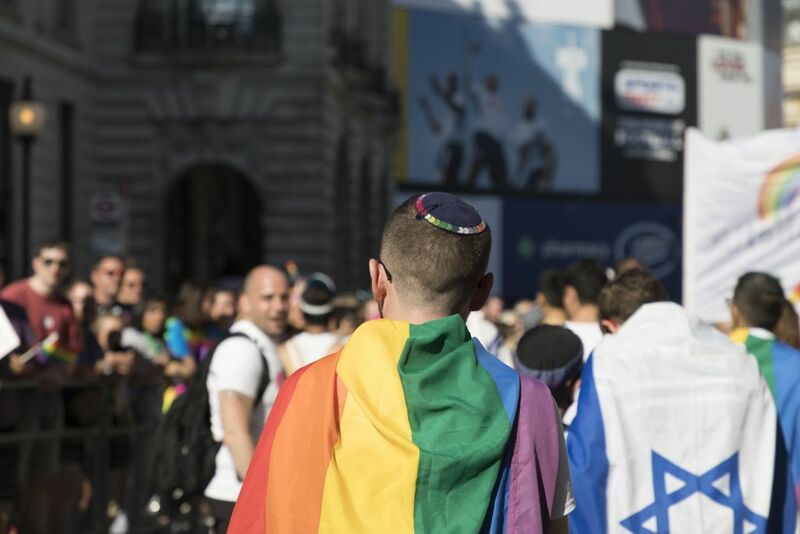 KeshetUK, a Jewish LGBT advocacy group, led the delegation, which was represented by the Jewish Gay and Lesbian Group, GJIL, the Beit Klal Yisrael Liberal Jewish community, Jewish lesbian and gay parenting group Imahot v’Avot and Parents of Jewish Gays and Lesbians. 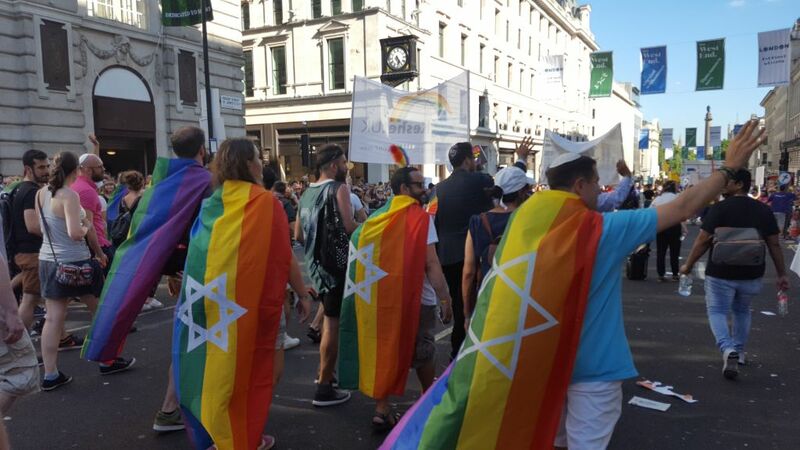 Some marchers wore a specially-designed t-shirt featuring an amalgamation of the yellow star and pink triangle in memory of Jewish and LGBT+ victims of the Holocaust. The design also featured the slogan, ‘And I will always love Jew’ in homage to American singer Whitney Housten. 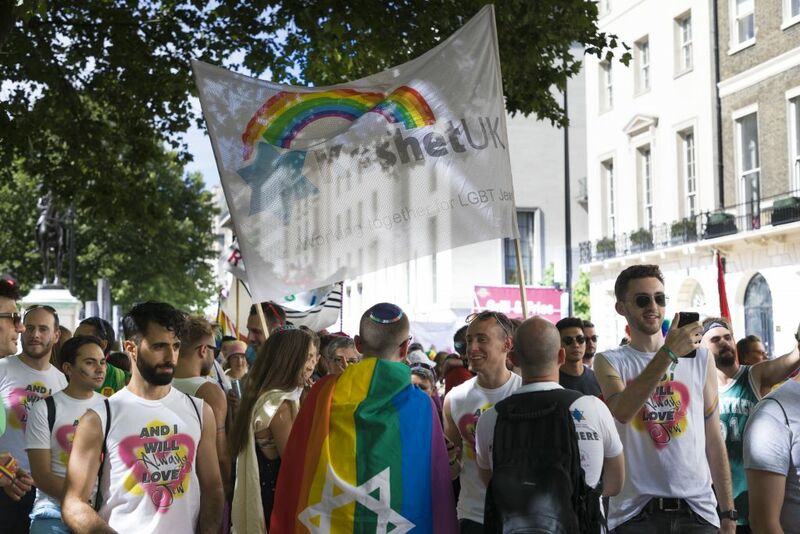 Shaan Knan, project manager of Rainbow Jews, an oral history project showcasing the lives of LGBT people in the UK from the 1950s to today, said: “It was fantastic to see so many Rainbow Jews marching alongside Keshet UK in the parade and being out and proud. We’ve certainly come a long way. Members of West London Synagogue and RSY Netzer were also at the event. 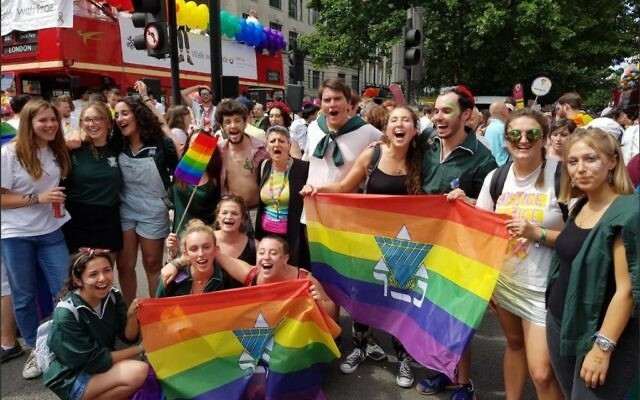 Rabbi Laura Janner-Klausner, senior rabbi for Reform Judaism added: “As an ally to LGBTQ people I was over the moon to see joyful expressions of love and celebration. “As we mark 50 years since the partial decriminalisation of male homosexuality in England and Wales, Pride in London was a glorious example of how far we have progressed but there is still much work to be done”.